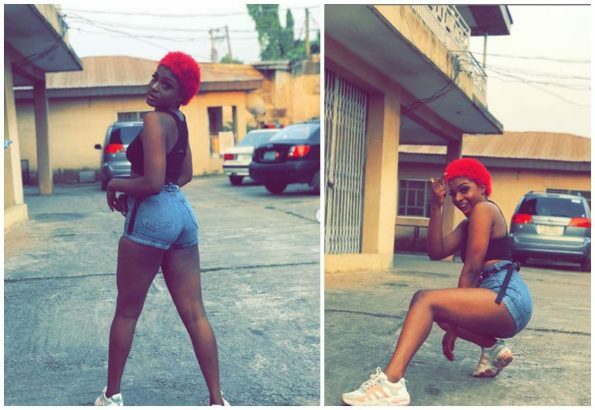 A beautiful video vixen based in Edo state has reportedly bled to death after allegedly being used for money ritual. A suspected ritual story involving popular video vixen/model Wendy and her boyfriend, Best Jide, is currently developing in Benin, Edo State. Wendy is said to have bled to death, yesterday, and her boyfriend is being accused of using her for ritual. 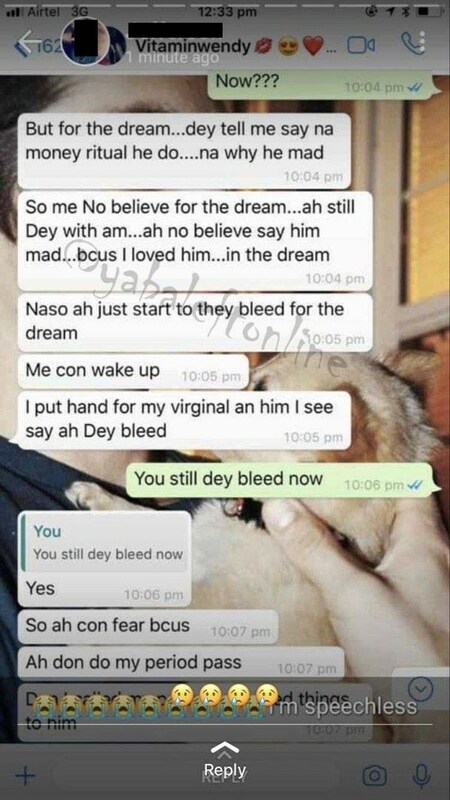 According to a recent chat she had with a friend before her death, she said she dreamt that she was bleeding and was told, in the dream, that her boyfriend had used her for ritual. 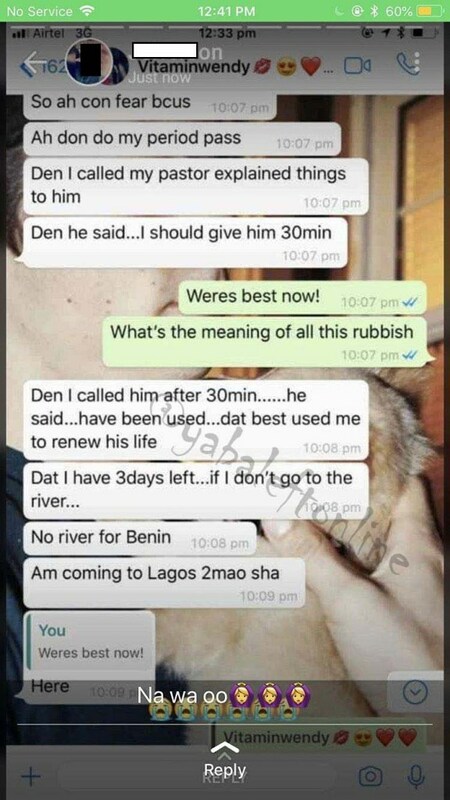 Wendy went on to reveal that the pastor told her to have a river bath within 3 days or risky losing her life. However, it seems she eventually lost the battle. Meanwhile, when contacted, the boyfriend denied having a hand in her death. 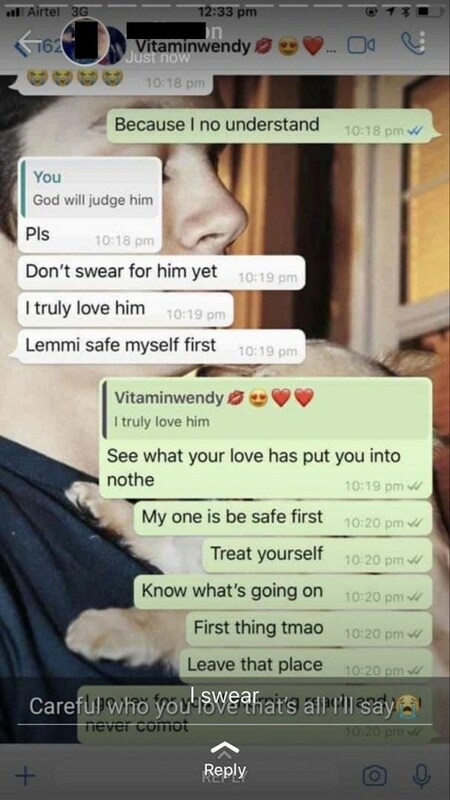 But while Jide has gone private on Instagram, Wendy’s friends have since started storming her social media pages to mourn her.